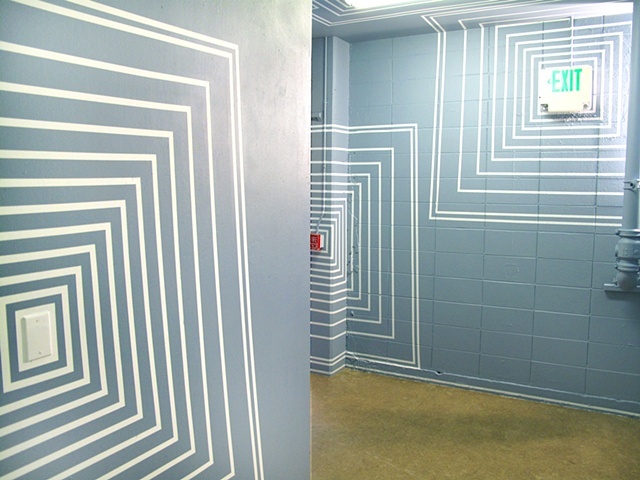 This site responsive piece embraced the material realities of both its production and location. 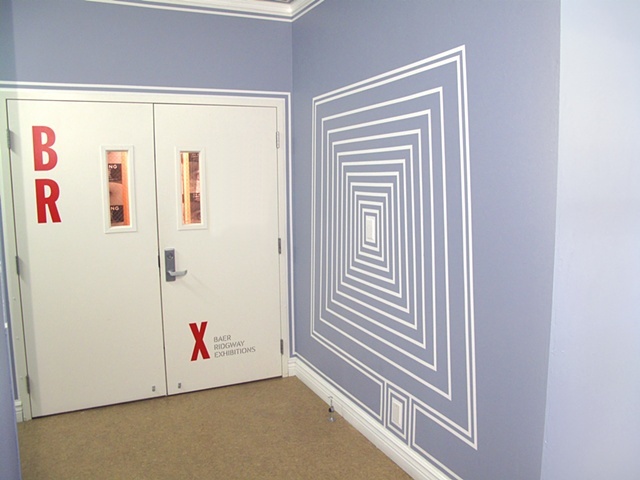 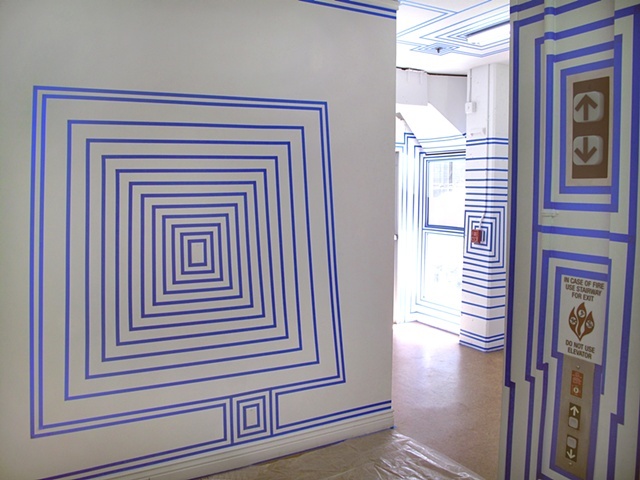 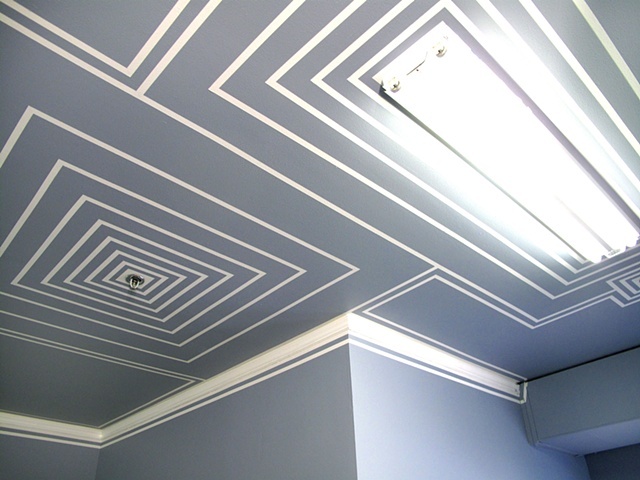 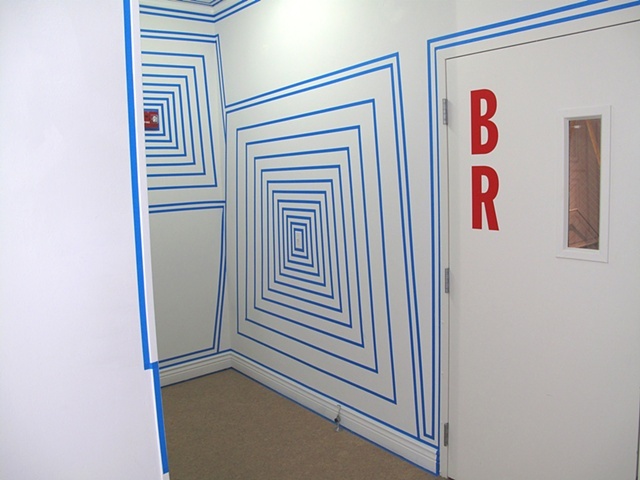 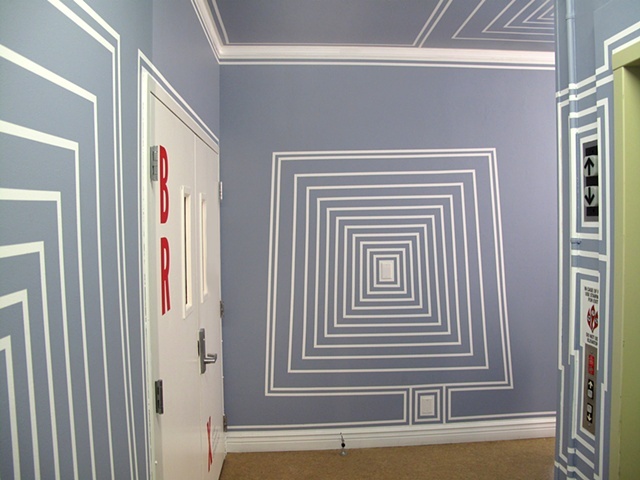 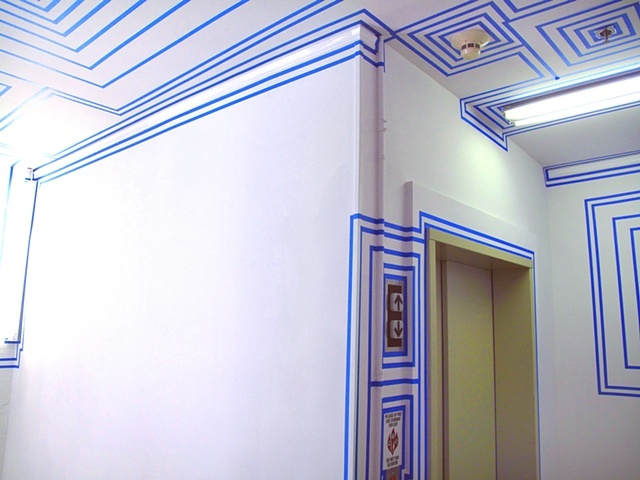 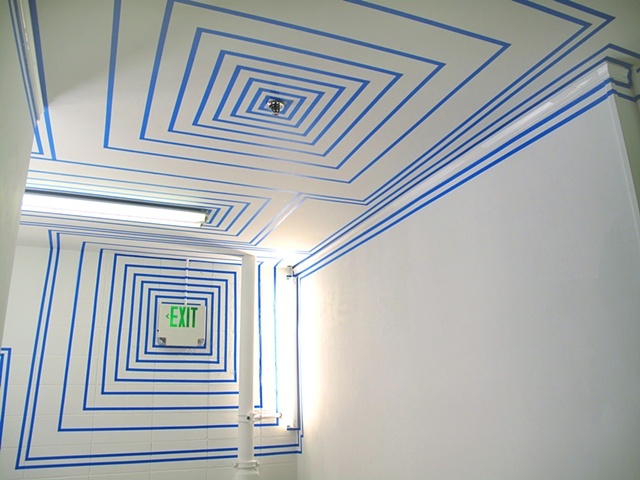 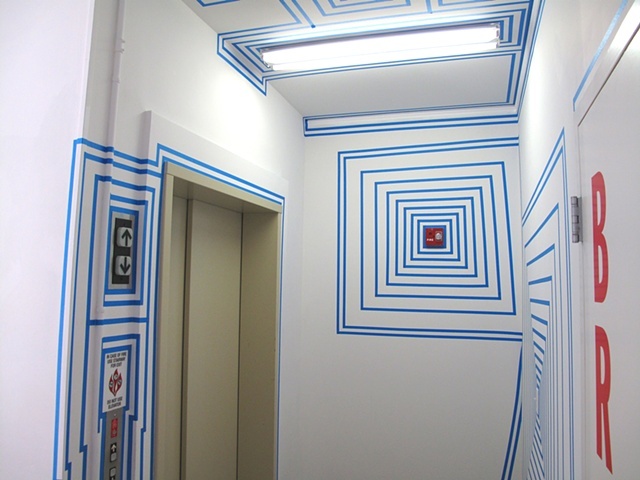 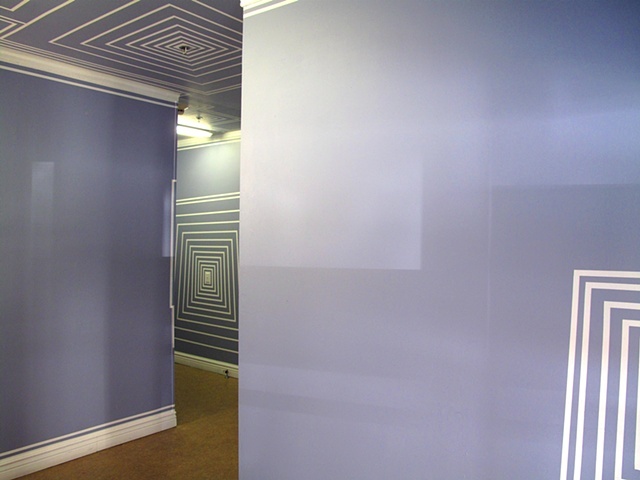 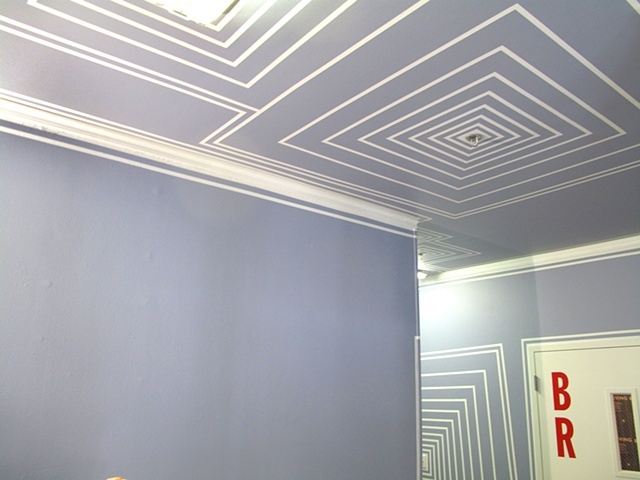 The work began as a tape installation, then, using the initial installation as a mask, shifted into a wall painting, that was eventually painted over. 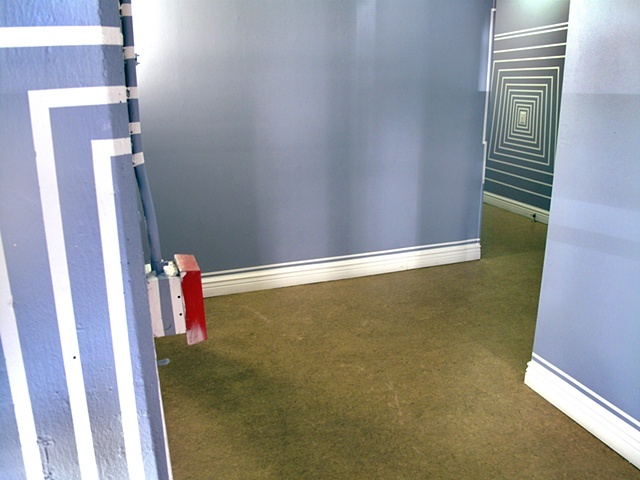 The piece was generated from the banal details of the space's architecture. 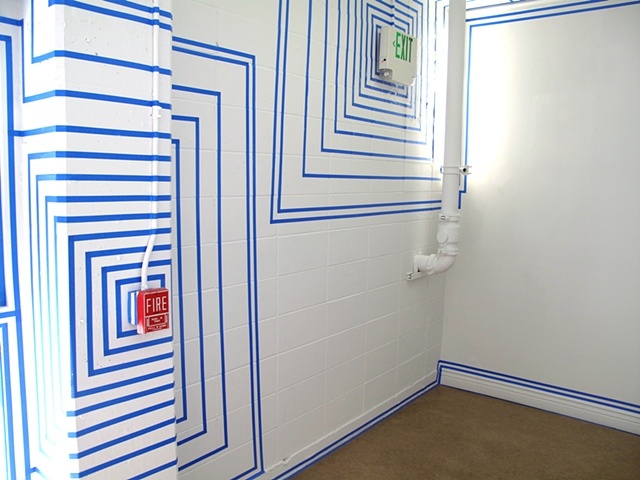 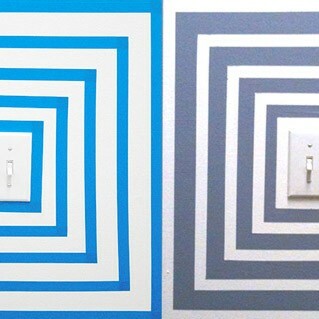 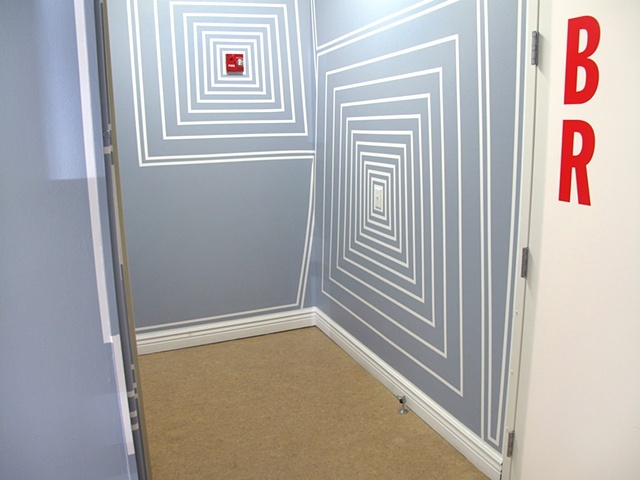 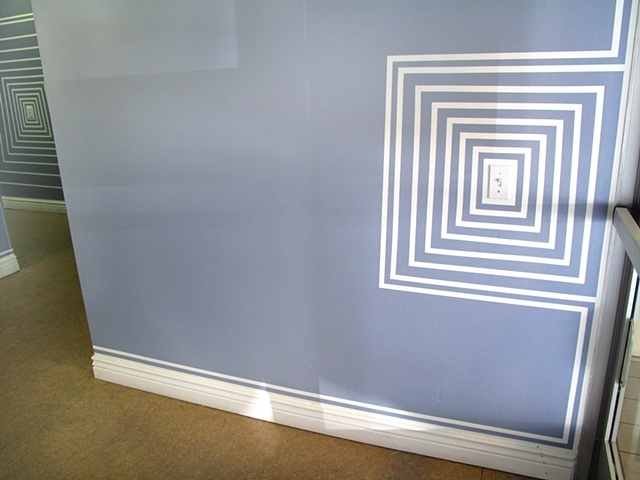 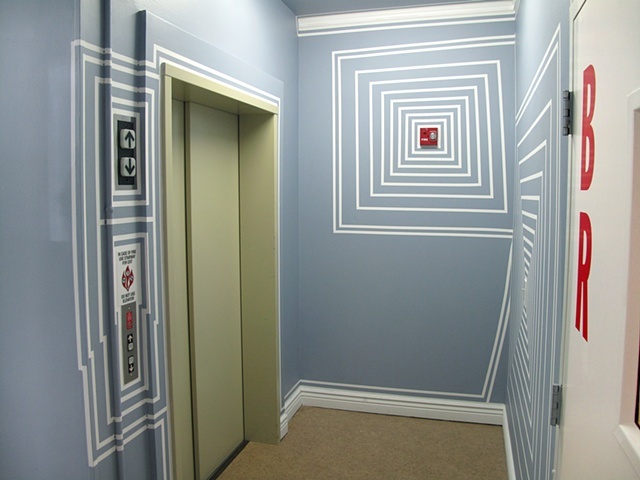 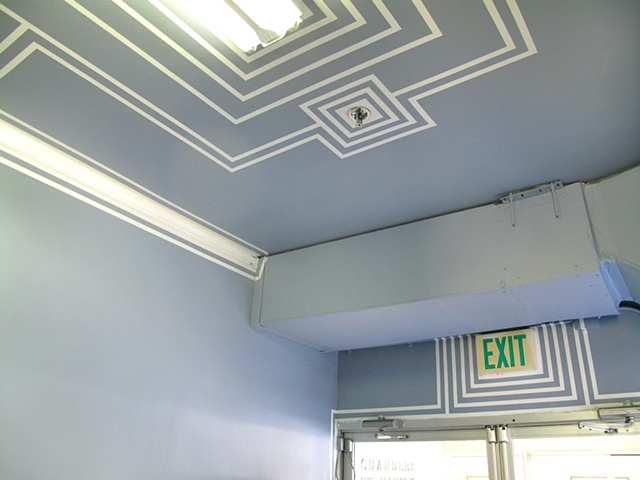 Overlooked aspects like light switches, electrical outlets, and exit signs, acted as the installations starting points. 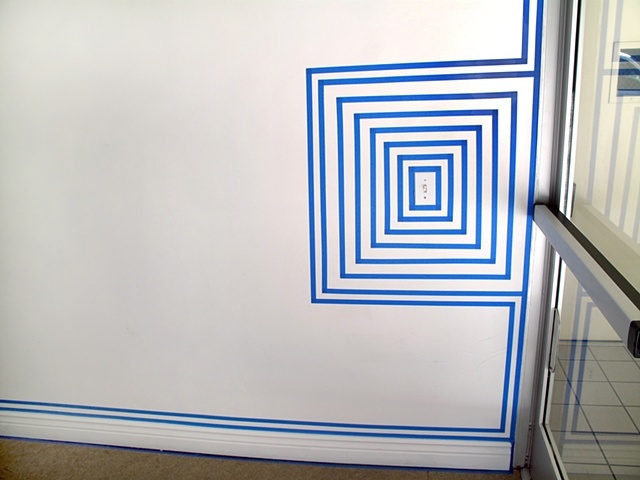 Using Painting's most basic techniques, these incidental details were expanded until they ran into each other and occupied the entire space. 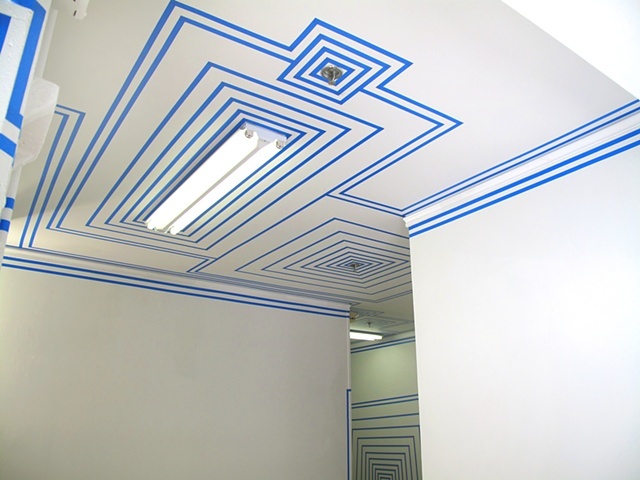 By giving heightened visibility to the space's previously overlooked aspects the installation challenged viewers to reevaluate their perceptual habits. 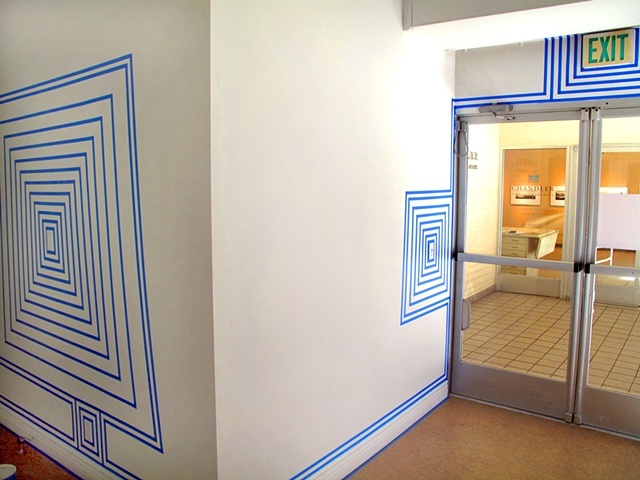 Each aspect of the project functioned as an integral and equal aspect of the whole artwork. 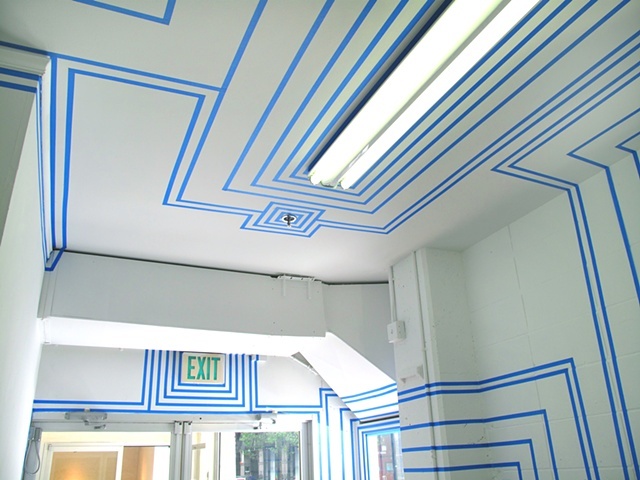 By democratizing its constituent parts, the installation existed as an interdependent multiplicity rather than a singular "piece." 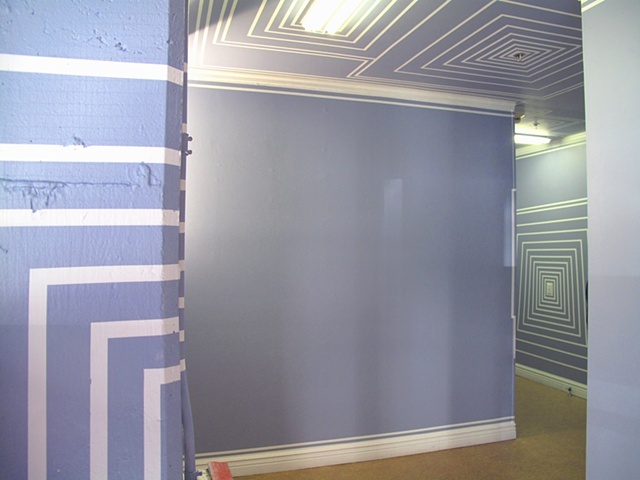 This temporal status gave the work, like us, what Heidegger described as being-toward-death, or sein-zum-tode. 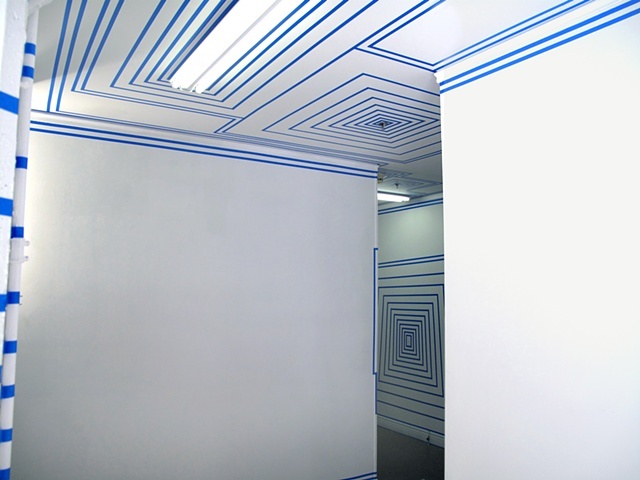 At any moment that the work was viewed, its previous history and eventual destruction were embedded as a present reality. 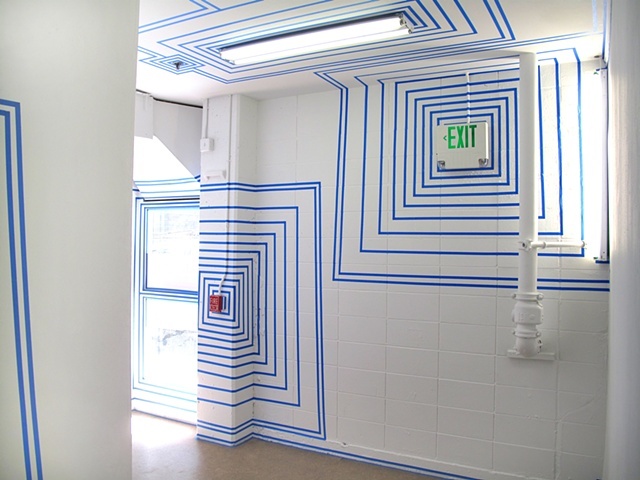 Every interaction with the piece was unavoidably impacted by this relational status, as were the memories that each viewer retained from their experience.